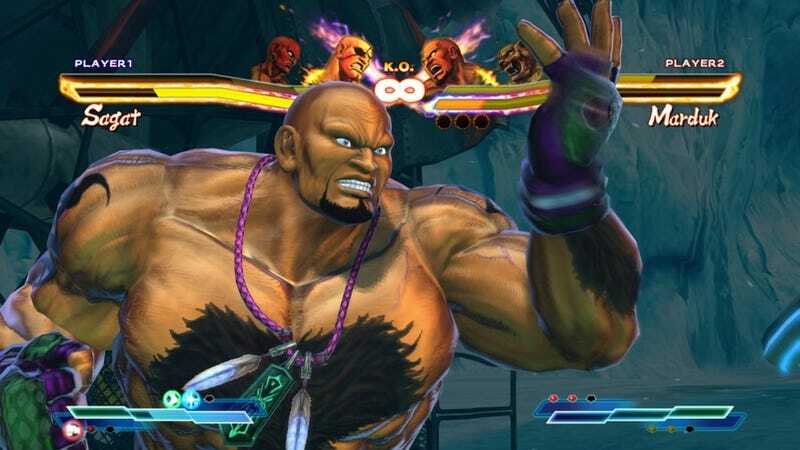 Earlier this month, Capcom drew controversy when Street Fighter X Tekken, released in the US on March 6 and in other regions later that week, proved to have locked, future "DLC" content on the retail launch disc. By including these 12 characters on the disc, the idea was to ensure easy compatibility between players who do and do not choose to download the characters when they arrive as DLC. The update also saves on file size - instead of a massive download, there will be a much smaller unlock that brings the new content to the surface. This move also furthers our desire to avoid a "Super" version of the game down the road. Everything you need to enjoy this game for months (and years) to come will be accessed by the retail disc available this week. Consumers, faced with the prospect of having to pay twice to access content on the discs they'd already purchased, disagreed with Capcom's positive framing of the issue. Several of those customers took their grievances to the Better Business Bureau, filing complaints against Capcom. While Capcom is sorry that some of its fans are not happy about the chosen method of delivery for the DLC, we believe that this method will provide more flexible and efficient gameplay throughout the game's lifecycle. There is effectively no distinction between the DLC being ''locked'' behind the disc and available for unlocking at a later date, or being available through a full download at a later date, other than delivery mechanism. Many players would argue that, in fact, there is a significant difference between DLC being "locked behind the disc" and being "available through a full download at a later date." The latter is truly DLC, downloadable content. It's an extra that wasn't finished before launch and then taken out for later sale; rather, it's an add-on option that can be purchased at a later date. Metaphorically, it's akin buying a house and then later deciding to expand and finish the basement. The former is game content that, necessary or not, was planned before launch and been deliberately disabled with the intent of charging more later to enable it. To players, it's as if they had bought a house with a basement that they couldn't unlock the door to unless they went back to the seller six months after moving in and forked over extra cash. To Capcom, that's just the way it is. According to CinemaBlend, the customers who filed the initial, now-resolved complaints, are attempting to amend their complaints to have them reconsidered. We asked Capcom for a comment but have had no response. We will update if we hear back.